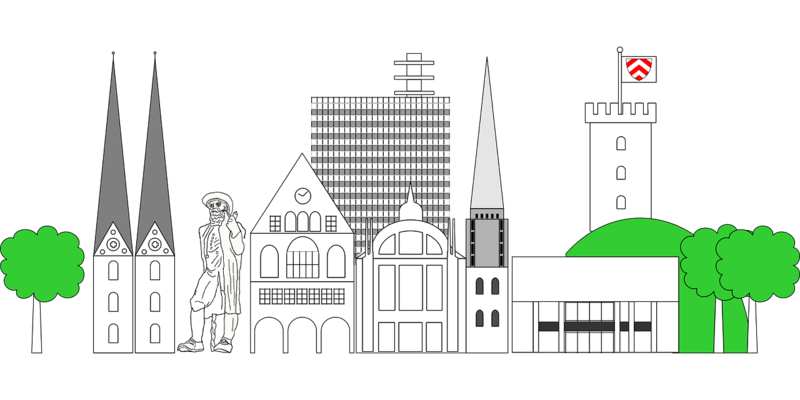 Bielefeld – “the city that does not really exist” In 1993, Achim Held published an article in an Internet forum in which he questioned the existence of Bielefeld. What put the promoted computer scientist in the fun on the Internet, became probably the best known conspiracy theory of Germany. To this day this theory is often used to tease the inhabitants of Bielefeld. If you would like to convince yourself of the existence of Bielefeld and at the same time take the chance to study at one of the best universities in Germany, you should read on! At this institute you can study a B.A. or M.A. In the areas of design, engineering, social and economic sciences as well as in nursing and health sciences. offers as a private college a study in business, media and communication or in health sciences. If you prefer to study at a university, you will find it in Bielefeld! In addition to 13 faculties and more than 80 courses of study, the University of Bielefeld offers a truly great support for international students. With the “brother-sister program”, all new international students receive assistance from a mentor in all areas Of life (housing, shopping, money, studies, etc. ), so that the start in Germany will be successful. The university is a leader in the field of DaF – German as a foreign language – and in the field of robotics (robotics). But not only students get their money’s worth, because the university also invites international doctoral students and guest scientists to come to Bielefeld. Interested?